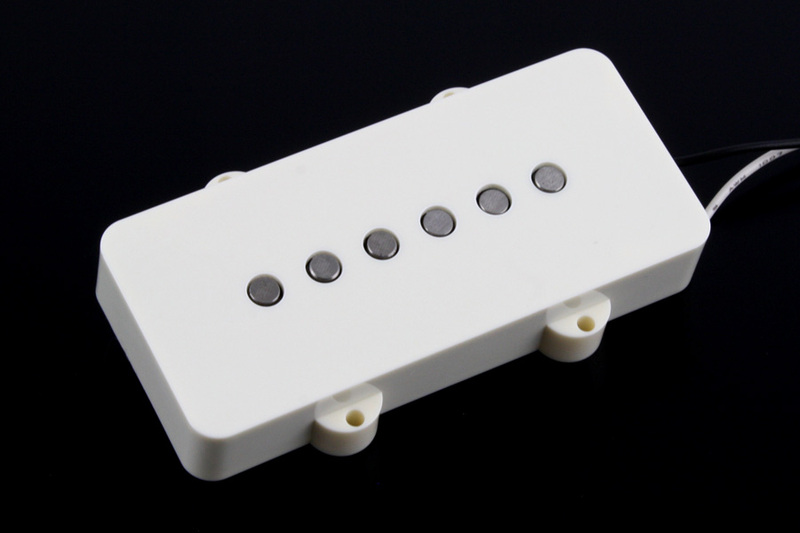 Replacement pickup for Jazzmaster® guitars. Contains Alnico magnets and comes with aged white cover and attached wire leads. 10.9K ohms. Standard 3 and 5/8 x 1 and 5/8 inch dimensions.